Next time you’re out shopping or dining at the Hill Country Galleria, see if you can find The Benches of Bee Cave located along the sidewalks and in front of shops and restaurants throughout the Galleria. If you’re spending time with your children, it’s a fun game of exploring and a great way to make them aware of the arts. When you find one, you’ll have the perfect reason to take a seat and maybe have a few photo opportunities. There are currently seven benches and each one is an original work of art. The Benches are a project of the Bee Cave Arts Foundation. Eventually the BCAF envisions about 50 benches installed throughout areas in the community and Bee Cave Central Park. Think about the first time you drove out to the lake and the view of open hill country with the waters of Lake Travis came into sight. 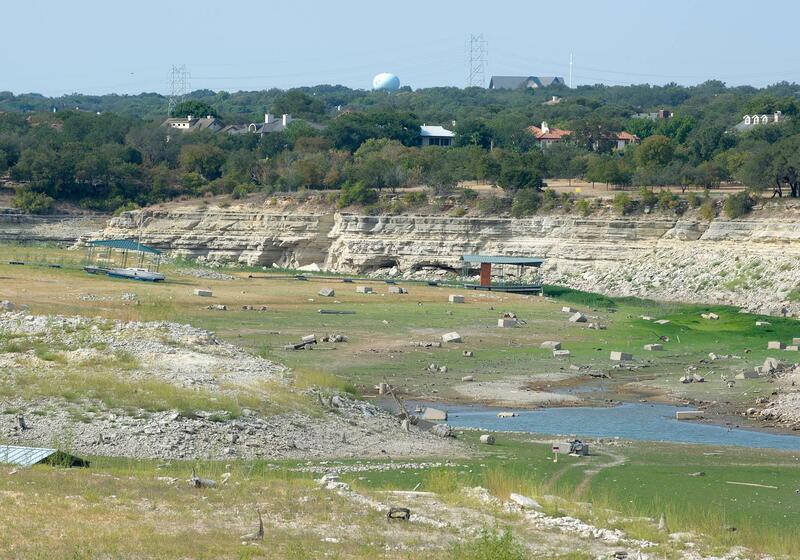 Things looked a lot different if it was a time when Lake Travis was full. Beautiful scenery, amenities, and recreational opportunities are all part of what makes this place we call home so special. Lake Travis is the main reason we have seen significant residential and commercial growth in the area. Recent traffic issues in the area might have you arguing that we’ve seen enough! Most visitors don’t come to the Austin area without a visit to the lakes or an evening spent watching the sun going down over Lake Travis. A full Lake Travis provides the area with a significant amount of revenue.